Welcome to Anguilla, the best Caribbean island. The mere mention of Anguilla vacations tends to conjure images of mega yachts, a life of super luxury, the ultimate in fine dining, talcum-powdery white sand beaches, and no-limit budgets. Is it because of all the celebrities who make Anguilla their vacation hideaway? Is it a tightly held secret amongst the world's multi-millionaires and billionaires? It could be, but the "secret" is getting out! This introduction to Anguilla vacations shows you both sides of Anguilla, with the emphasis on affordable. You can spend a week or two here as inexpensively as any other tropical island, or you can "max out your AMEX Black card." Welcome to Anguilla Vacations, Your Way! Anguilla is "known" to be hard and expensive to reach. But flights to Anguilla can be, in fact, cheap and non-stop. How? By flying into a major hub of an island just a few miles south and catching a boat across. It's so easy. Strongly recommended!... The secret to saving costs and time on Anguilla flights is to fly into Anguilla's neighboring island, and Caribbean hub, St. Maarten's Princess Juliana International Airport ("SXM"). Many cheap charters fly from major American, Canadian, and even some European (Paris) cities regularly. From the NorthEast (ex., New York, Boston, Montreal, Toronto), fly non-stop to SXM. Instead of flying with one or more stops (each stop being a potential snow delay), just to reach Puerto Rico. And the irregular connections from Puerto Rico often mean you stay overnight there. Arrange a charter ahead of time or catch the ferry to Anguilla. If you arrange a charter, they will meet you at the airport, help you with the Customs stuff, and you'll be Anguilla-bound in no time! So many folks either don't know about this option or are afraid that the boat won't be there to pick them up. It will be. Once you have done it the first time, you will do it every time. It's that much easier, cheaper and faster. The Anguilla airport is a charming Caribbean airport, simple and breezy. It's such a special, "small-island" feeling to land in Anguilla. If you are flying from San Juan, Tradewind Aviation, Anguilla Air Express and Seaborne fly to Anguilla directly. If you are flying from St. Maarten, the journey is ultra-smooth now thanks to Anguilla Air Services and Trans Anguilla. Anguilla Air Services operates flights daily on a schedule. Trans Anguilla offers private charter flights. Both have terrific reputations and come highly recommended! Have a private jet? The only problem with bringing your own plane is "finding parking." Around Christmas, Anguilla's tiny airport is at capacity! I can just imagine the conversation when a Hollywood star tells a billionaire tycoon, "Move your G5!" Some Anguilla villas can even accommodate your helicopter (like the Anguilla villa Brad Pitt rented before splitting with Jennifer Aniston)! A valid passport is generally all that you need for short stays in Anguilla. Certain countries require a visa for entry. Courtesy of the Government of Anguilla, click here for the list of visa requirements. Anguilla is known for its luxurious accommodations! Staying at a villa? Some of the villas on Anguilla are truly mind-blowing. No expense is spared to pamper you. And no expense is spared by guests for the privilege... rates run as high as $80-$100,000 for one week during the island's hot season, Christmas. 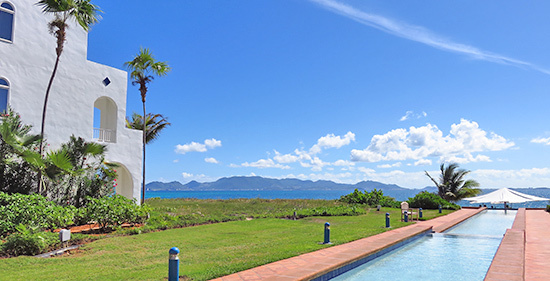 One of the most luxurious ways you can enjoy Anguilla is via a luxury Anguilla villa. The villa owners and management companies truly think of it all. From private chef services, to helicopter landing pads... luxury villas are the utmost in privacy and personalized experience. More on Anguilla villas here. CuisinArt is another top choice. Plush rooms are set right on the smooth sands of Rendezvous Bay (gazing out to the Caribbean Sea and St. Martin). The cuisine is some of the island's very best. And, the resort's Greg Norman designed golf course and award-winning spa are recognized across the region. You can read more on CuisinArt Golf Resort & Spa here. Malliouhana is one of the most famous resorts in the Caribbean. It has long been known for delivering classic Caribbean elegance and outstanding dining. Malliouhana was built in the 1980s, a product of passion, a labor of love. Gracing one of Anguilla's most beautiful beaches, Meads Bay, dotted with many five-star restaurants for fine dining, you can't go wrong. A junior or full suite (on private Turtle Bay Beach) at Malliouhana is a top pick for Anguilla vacations. 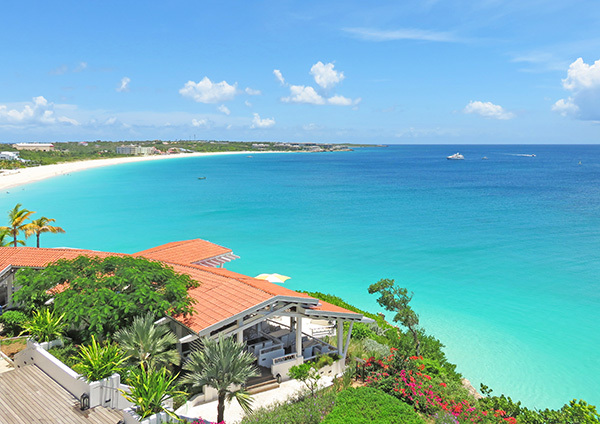 Finally, Cap Juluca rounds out top Anguilla resorts today. Between luxury and low cost there is a plethora of wonderful villas and hotels. Best value hotel? The highest value, mid-range Anguilla hotel is Carimar Beach Club, directly on Meads Bay's sparkling sand, just a few doors down from one of our favorite Anguilla restaurants, Straw Hat. A small hotel with comfortable furnishings and updated modern bathrooms, each room has a flat screen TV. Your room is either on the beach or has an excellent view. Tennis courts and beach chairs and outdoor grills. At $300-600, Carimar is the best deal on the island and books up fast for Anguilla vacations! Looking for best-buy villas in the mid-price range? This is where Jackie Pascher really comes in handy and shows you how much she knows about Anguilla and how hard working she is! 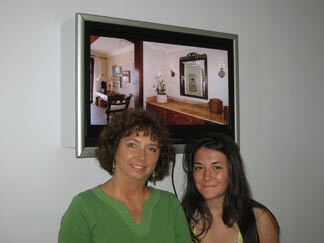 Jackie Pascher has long been our favorite Anguilla real estate agent, ever since we started visiting Anguilla in 2002. She will work day and night to find you the best Anguilla villa. She is dedicated, knowledgeable, and all business aside, a wonderful person. By the sea, on the beach, 2 bedrooms, 5 bedrooms, she will find you a villa that fits your budget and your other Anguilla vacations needs! Personally, we've stayed at Tortue Villa several times and loved it. Is there such a thing as low-cost villas in Anguilla? Contrary to what you may believe, Anguilla villas are not just for the likes of Jay-Z and Beyonce! Quaint Anguilla villas can be found that are a fraction of the price of the ones that attract the big celebrities. If you contact Jackie Pascher, she will find you something in your price range. 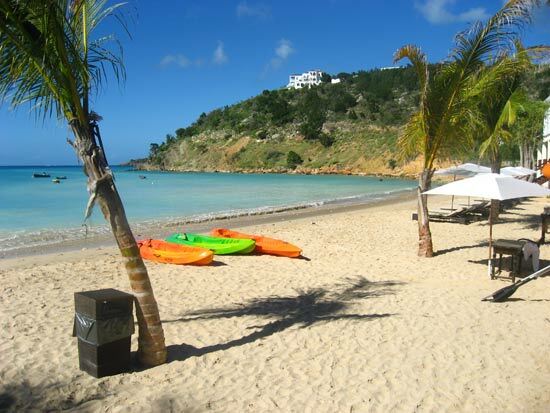 Anguilla Apartments Renting an Anguilla apartment may be the most economical approach to Anguilla vacations. Klasher Apartments, are located in North Hill, inland Anguilla. They are simple, clean and close to the island's capital, The Valley, and the popular beach Sandy Ground. Klasher apartments provide a very affordable approach to Anguilla vacations and definitely is the way to go for long-term stays! For shorter-term stays, try Sydans, right on Sandy Ground. Do a Google search of this site to find more availabilities for your Anguilla vacation. It still surprises me to hear that many travelers to Anguilla rarely leave their resort or beach where they are staying. Anguilla is safe. You can explore anywhere without any worries. Many spend their Anguilla vacations shuttling between beaches and restaurants in hired taxis. Anguilla taxis can be found at Blowing Point ferry terminal and at the airport. Taxi drivers are kind, hospitable and friendly. Many offer tours of the island, and can be hired to pick you up from your hotel and take you out for dinner, or to the beach, wherever you please. The only drawback to taxis in Anguilla is the cost. They can get expensive. Island Car Rentals is our favorite Anguilla car rental agency on the island. They are friendly and easy to deal with, setting up so much of the paperwork in advance and making it as effortless as can be. Hop in your Anguilla rental car with a map of Anguilla and you will be on your way to experiencing all of the hidden beauty and adventure this tiny gem of an island has to offer. For example, we recently found a little-known road that takes you out to the western-most tip of Anguilla where you can find an unknown beach and see Anguillita Island. Best part of it all. The adventure is free! Eating in Anguilla is an experience. It is relaxing, calming, an event that can last an entire afternoon, or go on all night. Like Anguilla villas and hotels, Anguilla restaurants are not all the super-high-end budget-breakers you've heard about. Again, to keep matter simple, let's divide them into three categories. It is easy to fall in love with da'Vida on Crocus Bay. It screams, "This is Anguilla." A must-eat. Dinner is exceptional, accompanied by the rhythmic waves of Crocus, which is particularly pleasing. Their late afternoon/sunset tapas? To die for! And what's extra-special about da'Vida? Beach day lunches! 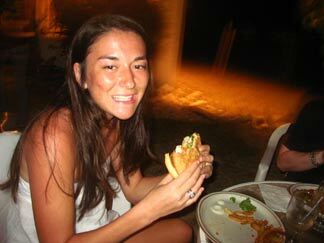 Dining at their luxurious Anguilla beach bar for lunch, devouring a delicious hot dog, burger, grilled fish sandwich or a chicken wrap. Followed by a snooze under the sun, a swim in Crocus Bay's calm still water, or some sea kayaking around the bay and into the secluded Little Bay next door... One day is never enough at da'Vida! More favorites include: Straw Hat, Trattoria Tramonto, and Jacala. Click here to read about five-star Anguilla restaurants. 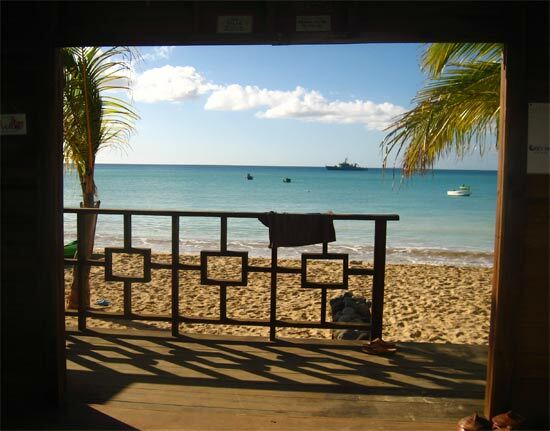 Among the best mid-priced Anguilla restaurants is Ferry Boat Inn. This family-run restaurant and inn is owned by warm and wonderful people who will make you feel right at home. Yummm, no one beats Christian's (owner and bartender) burger. Their crispy chicken burger is another favorite! Every Wednesday Christian serves wings with blue cheese sauce. More favorites include: Roy's and Picante. 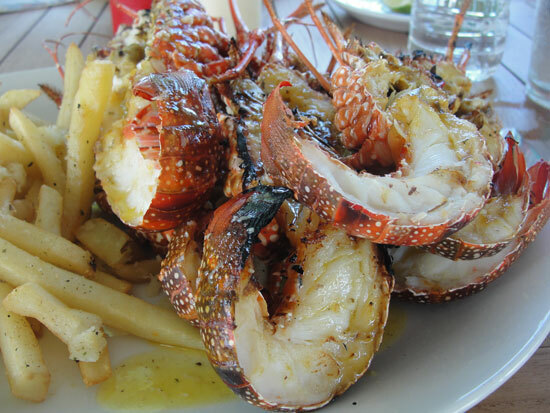 Click here to read about more mid-range Anguilla restaurants. Anguilla's "cheap eats" is the surprise of many Anguilla vacations. From New York style pizza, to Caribbean style pasta, to basic chicken and ribs... Local favorites are favorites for a reason! Sharpy's, B&D's, Sharky's... these are just a few of the island's restaurants that serve up excellent cuisine at a fraction of the price of other restaurants. Sharpy's even often has crayfish for under $15. More on favorite cheap eats. Step 5) Activities: What To Do In Anguilla? By Land And By Sea! With waters as blue as Anguilla's, Anguilla activities should involve the water! Yep, they even have you covered if you're looking for something a little more adventurous. 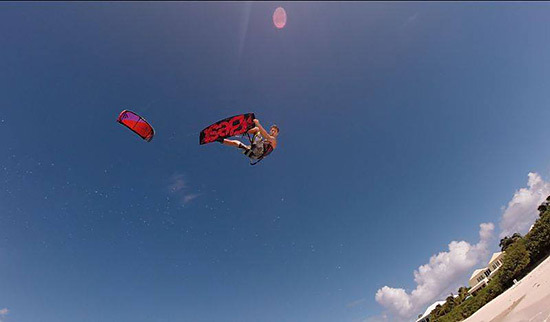 Anguilla is a kitesurfing paradise! With prevailing tradewinds and calm waters, it's a top spot for beginners, and when the wind and waves really pick up, it's fun for experts, too. One guy who lives and breathes kitesurfing on the island is Judd Burdon, owner of Anguilla Watersports. More on Anguilla kitesurfing and water sports. More on Anguilla Watersports here. Our favorite days on the water have been with the Anguilla boat tour company, Gotcha! Scrub Island, Prickly Pear, Sandy Island and Little Bay. Lesser known spots such as Dog Island or favorite St. Martin offshore islands like Tintamarre. For the more adventurous, try deep-sea fishing, explore farther out to Sombrero Island or day-trip to St. Barths. Sandy Island and Little Bay don't require shelling out the big bucks (private charters costs can run high!). There are hourly boats that travel back and forth between Anguilla and these private escapes. Prickly Pear can also be enjoyed for a lower cost by heading over to Prickly Pear with Johnno. Another terrific option for lunch at Prickly Pear? Prickly Pear Bar & Restaurant. Surfing is one of my favorite things to do in Anguilla. Thanks to Akio and Ravi Lloyd, of Surf AXA, surfing Anguilla is more possible than ever before. With tours to hidden, secret spots and rentals, Surf AXA has brought surfing to Anguilla! 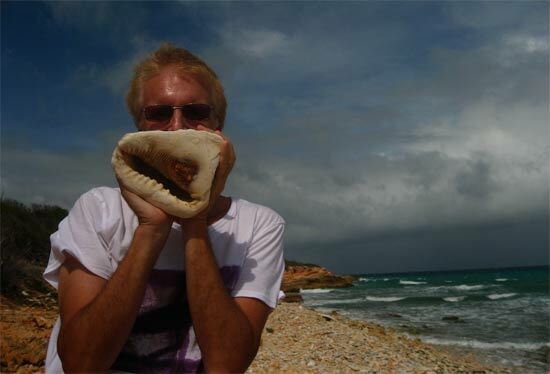 Land-based Anguilla activities and explorations are plenty. They range from free to reasonable in cost. Each Day of Your Anguilla Vacation? Click here for a day-to-day guide that tells you all about Anguilla events and things to do, including where to hear live music, special menus and other attractions. Anguilla golf is alive and well (prices have come down considerably). And you'll find some interesting shops while shopping Anguilla. And, of course, you can play all the usual sports. If you stay on the larger roads, you won't find the opulent mansions that dot Anguilla. How to find them? Get off the beaten (paved) track and head down to dead-ends at the sea. And do explore the 5-star hotels, just for the experience (it makes sense to be discrete and just a little "tropical dressed up"). Take many interesting (even deadly if you don't bring water!) hikes during your vacation. Hiking out to the Western tip and Anguillita island is an oh-so-rewarding hike, perfect "to do" for a cheap Caribbean vacation. Exploring the opposite end of the island, climbing to the top of Windward Point on the East tip, is also a magical experience. Look for whales! They tend to frolic between the Eastern tip of Anguilla and Scrub Island. "Done" the tips of the island and ready for more? Drive down to any dead-end by the sea. Bring your water. Park the car. And start hiking. Lastly, exploring by air... It may not be the most conventional thing to do on an Anguilla vacation, but it is worth every penny! 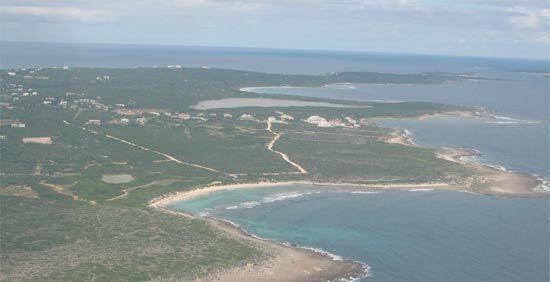 They also offer air tours of Anguilla. Anguilla from the sky? Talk about blue views! Seeing Anguilla from the air offers a whole new perspective... It is breathtaking, refueling all passions for the island. Explore, explore, explore... there is so much beauty to see in Anguilla. There you have it! It is impossible to whittle Anguilla vacations down to an "absolute top ten favorites" list, because they are all favorites, but these are some of our most memorable must-do's. And as you can see, you can have a wonderful time for only a few dollars. This introduction to Anguilla vacations has barely scratched the surface. Please share your own magic moments on Anguilla vacations! Everyone loves a great story and a super tip or two. Summer Vacations in Anguilla... The top 20 reasons to visit Anguilla in the blissful off-season! Anguilla Nightlife Spots... Anguilla may be a tranquil island, but you can always find something to do at night. From laid-back beach bars, to more luxurious lounges, to local discos and clubs, the vibe can range from low-key and relaxed to energized. Anguilla's Festival Del Mar takes place every Easter weekend in Island Harbour. The local village really comes alive with this festival that's all about the sea! Live music, dancing, soldier crab races, boat races, swimming contests, a deep sea fishing competition, and all of the fresh, tasty seafood you can eat... it's an event not to be missed. Anguilla's Valley Street Festival is held the first Saturday of every month. Romaro Richardson shares his experience of this cultural of afternoon of eating, drinking and being merry. Anguilla's Welches Festival, similarily to the Valley Street Festival, is an afternoon of music, dancing and dining, held every Whit Monday. Anguilla Lit Fest, a beautiful celebration of literature and self-expression that pulls in big names in publishing! Anguilla's Carnival is the island's most celebrated holiday, and has the biggest beach party across the Caribbean! Anguilla Boat Racing passionately loved by all, Anguilla boat racing season (starts in Spring) is an exciting time of the year. If you're visiting during a boat race, don't miss it. Best Anguilla Sunsets Top spots for taking in these spectacular sights. Anguilla events... day to day list of things to do, including where to hear live music and other attractions. 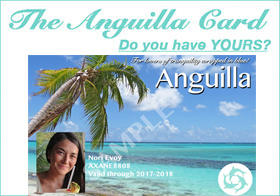 Blue Sea Anguilla is an excellent group to get in touch with if you need help planning and organizing your Anguilla vacation. Made up of a small team of tourism professionals, Blue Sea ensures vacations are smooth and relaxing. Established by Renuka Harrigan for her daughter with special needs, the Blossom Centre is a child development center for special children. The only one of its kind in Anguilla, its work is deeply needed and thus highly valued by members of the community. AARF... Anguilla's Animal Rescue Foundation Dedicated to finding the island's stray dogs and cats good homes, AARF is an excellent non-profit. 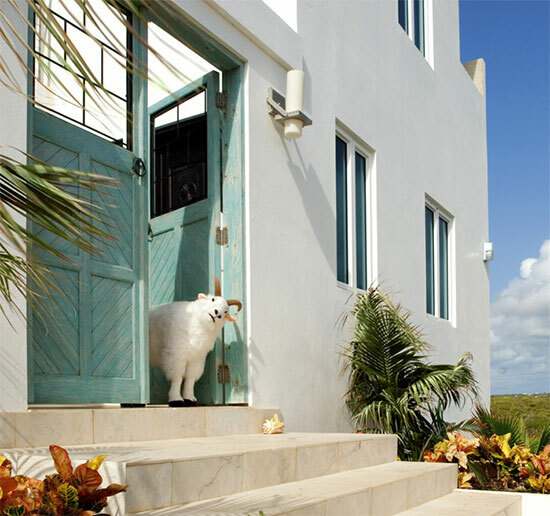 Anguilla's animals make the sweetest pets, too. We speak from experience... we have 3 AARF pups! Many who have adopted kittens and puppies from the island say that they are the most special souvenirs. And, if you happen to be on island with your pet and are in need of emergency pet care, Pelican Mobile PetCare will be able to meet your needs! Anguilla's National Culinary Team Meet Anguilla's National Culinary Team who are on the quest to reclaim GOLD at Miami's prestigious culinary competition, Taste of the Caribbean. Support them on their quest to gold and be entered to win a $2,000 value prize including 2 nights at Frangipani and a luxurious dinner with Chef Sweets. Anguilla's Golden Jubilee Sculpture Symposium The first event of its kind in Anguilla, three sculptors from the Royal British Society of Sculptors inspired Anguilla's youth through beautiful works of art that captured Anguilla's history and culture. Carved in limestone, in 2017 the Sculpture Symposium sets out to do it again, this time in honor of Anguilla's 50th Anniversary. Ruff Training Sessions Win a $10,000-value vacation to Anguilla and support a worthy cause: Ruff Training Sessions' participation in Tough Mudder, where they will be the first team to represent the Caribbean. Bright Lights A fundraiser for exceptional Anguillians, Bright Lights identifies people with the will, drive and potential to make positive change in Anguilla, and aims to support their endeavors. Anguilla's Blood Bank Support Rotary Club of Anguilla's effort to establish a blood bank and enter for a chance to win a piece of Anguilla! On Da Rocks... one of the best value meals you can get on Anguilla vacations. The owner, Tim, is friendly and fun, and his seafood is straight-from-the-fishing-boats fresh, all served at a reasonable price. C-Breeze Inn... in the local fishing village, Sandy Ground is a favorite affordable Anguilla villa. It is a cute villa, opening up onto Sandy Ground's salt pond. Anguilla Itineraries...if you want to really see the island, explore and adventure, I have put together a series of Anguilla itineraries to help plan vacation days according to region. From east to west, covering "must-sees" and off-the-beaten-path type of stuff, these itineraries are map-based and have plenty of information for each point of interest featured. They can also be used on your mobile phone! Anguilla On A Shoestring... finally, if you are planning a budget-friendly vacation to Anguilla, rest assured that it IS possible! Anguilla may be known for catering to the jet set, but a reasonably priced trip to Anguilla can be had, too. Covering everything from transport, sleeping, eating and things to do, visit Anguilla On A Shoestring... A Budget-Friendly Guide to Anguilla.